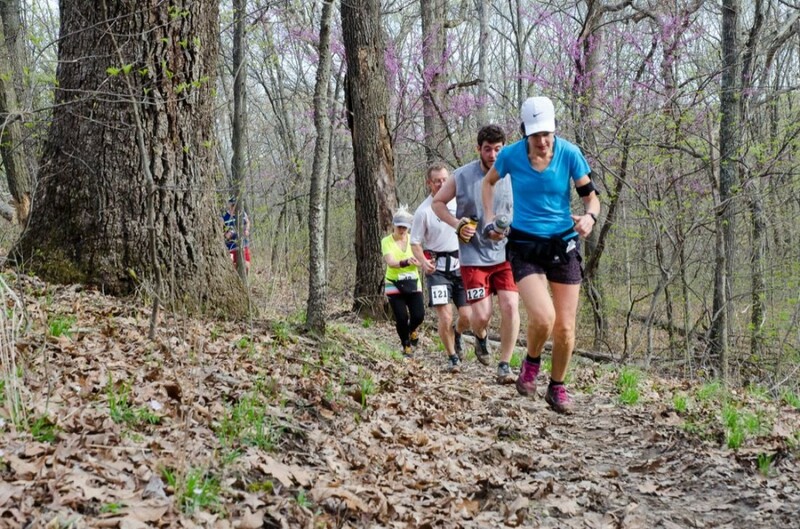 The Ozark Foothills 50k and 25k are simultaneous trail races that will be held across the scenic and technical trails laying at the foothills of the gently rolling Ozark mountain range. This is a challenging course of steep grades and rolling terrain. Runners will be treated to 95 percent singletrack with rocks, roots and creek crossings that make for a fairly technical 25k loop. ** Trails include Deer Run, Eagle Valley, Green Rock, Overlook, Beulah, DeClue and Dogwood. ** The Ozark Foothills 50k is two loops and 25k is one loop.